/ Enable Pinterest Two-Factor Authentication? I’m on a security kick and am trying to make all of my social media accounts as secure as possible. 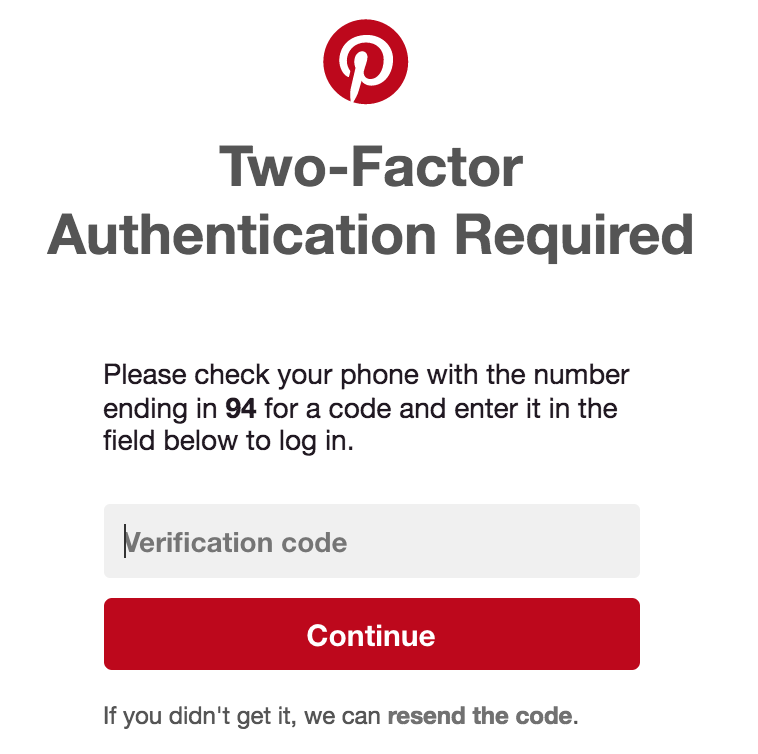 I’ve set up two-factor authentication with Facebook and Twitter, can I do the same with Pinterest? Glad you’re taking the time before it’s an issue to ensure that your social media and other online accounts are as secure as the site will allow. Two-factor authentication is a good way to go too, because it then relies on what you know (e.g. your password) and what you have (your smartphone to receive a text message) both. That way if someone steals your password, that’s not enough to get into your account and cause trouble. Just about all the major sites now support two-factor (or two-step) authentication login too, and I’ve written about almost all of them. If you’re not set up with the sites, click on the link to secure that account too: Enable two-factor authentication on Facebook, enable Twitter two-factor authentication, Two-factor authentication on Instagram, and how to enable two-factor authentication on LinkedIn. And so, let’s look at how to set up the same thing on Pinterest! I have a Pinterest business account but all these settings are the same for business and personal accounts, as you’ll see when you follow along. Click on the slider adjacent to “Require code at login” and we can begin getting it all set up. Enter your password, then click “Next” on the lower right of this window. My cellphone number is…uh… well, you probably don’t need to know that, do you? Enter your number, double-checking that you get it correct, then click on “Next” again. Enter the number carefully, click “Verify” and you’re all set up! One more thing. Pinterest will offer you a backup code, a sort of crisis management tool if you lose your smartphone. Write it down somewhere safe! Click on “Done” and you’re, well, done. Nice! 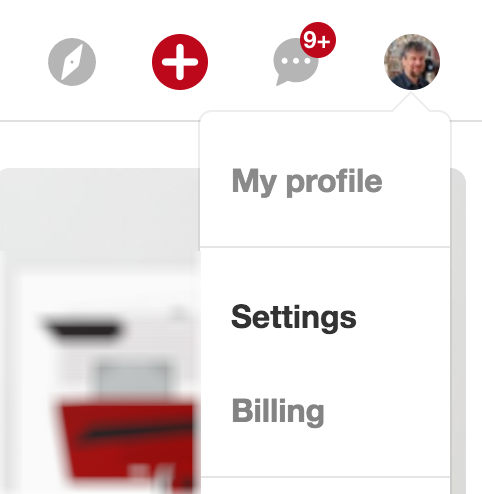 Tip: Why not follow me on Pinterest too? Dave Taylor on Pinterest. Thanks.